Jesus is uncharacteristically tough on the Canaanite woman in this week's Gospel passage from Matthew. Usually, when someone comes to the Lord with a request and a hint of faith, He is pretty quick to acknowledge their faith and offer a gift of healing and new life. This woman faces a test. Jesus withdraws to the region of Tyre and Sidon where a woman approaches and calls out, "Have pity on me, Lord, Son of David! My daughter is tormented by a demon." At first, Jesus simply ignores her and does not respond. That is the first test. His disciples even try to send her away, but she perseveres in her quest. Next, Jesus responds with, "I was sent only to the lost sheep of the house of Israel." This would have been taken as a rebuff because she was a Canaanite, therefore a foreigner, a Gentile. But the woman refuses to give up. She approaches Jesus again, does him homage and says, "Lord, help me." A third time, Jesus snubs her: "It is not right to take the food of the children and throw it to the dogs." Yet, her faith in Jesus remains strong, and she seems OK with the idea of simply having what is given to the family pet: "Please, Lord, for even the dogs eat the scraps that fall from the table of their masters." In the end, all nourishment, even for the dogs, comes from the master. She will take what she can get. Jesus deals with each of us individually, according to our needs at the present moment. In this encounter, Jesus, motivated by His wisdom and charity, chooses to test the Canaanite woman's faith, which turns out to be quite impressive. She responds with a faith marked by humility and perseverance, even in the face of a series of apparent rebuffs. The truth is that God is not afraid to test our faith and our love for Him. It is important to realize that the test flows from His love for us. God tests our faith sometimes for our good and the good of others. The test makes our faith real and personal. Love is not truly love until it has been tested in fire. Faith is not really faith until it has been tested as well. The test purifies our faith of selfishness and pride; it deepens our radical trust in His goodness and divine providence. The test prepares us for other crosses that we will face down the road in our roles as believer, parent, priest/consecrated or lay leader. We see Jesus testing the faith of others in the Gospels as well. He tests Jairius, the Synagogue leader, when he pauses on the way to his house to cure his sickly daughter in order to heal and bring new life to the woman afflicted with hemorrhages. While he heals this woman, Jairus' daughter dies in the end. Jesus goes to his house and raises her from the dead, but the news of her death must have been quite the test of Jairus' faith. We also see Jesus testing the faith of the rich young man when He says to him, "If you would be perfect, go, sell what you possess and give to the poor, and you will have treasure in heaven; and come, follow me,"
St. Paul, who knew a thing or two about being tested, teaches us something that is very comforting about God's work in our lives. 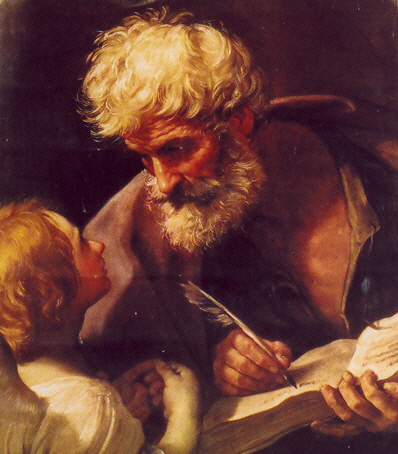 St. Paul reminds us that God never tests us beyond our ability. In his first letter to the Corinthians, Paul states: "God is faithful, and He will not let you be tempted beyond your strength, but with the temptation will also provide the way of escape, that you may be able to endure it." (1 Cor 10:13) Sometimes it is only by God's grace that we can endure certain trials and crosses. sometimes it seems like we can't hang on any more, especially if we rely only on our own powers, and we are tempted to give up. We should take courage in the knowledge that God will always provide. He will always offer us the grace needed to "endure it." Let us pray: Jesus, open my heart this day to the height and depth and breadth of your mercy and love. Stir into flame the great gift of faith that you have already given to me. When life gets really difficult and my faith is tested, give me confidence in the infinite power of your grace. May I trust in You no matter how difficult the test is. In the end, may I be graced to hear You respond: "O woman/man, great is your faith! Let it be done for you as you wish."